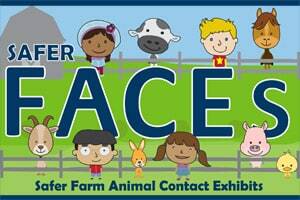 In January 2018, the Minnesota Department of Health launched Safer Farm Animal Contact Exhibits (Safer FACEs), a training program for agritourism venues. 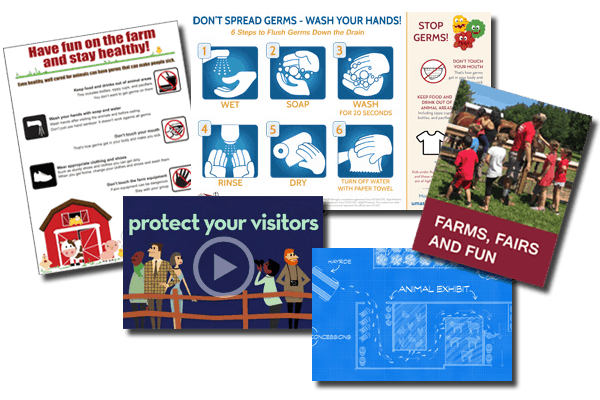 The free web-based, at-your-own-pace training offers an opportunity for owners and staff of these operations to learn how to keep visitors safe from illnesses that can spread from animals to people. “The goal of the Safer FACEs training program is to provide to provide education that will help public animal contact venues prevent illness in their visitors,” said Malia Ireland, epidemiologist with the Zoonotic Diseases Unit. “This training is tailored for farm businesses such as the owners, operators, and staff of apple orchards or pumpkin patches that have petting zoos, farms that offer field trips or tours of their animal facilities, and county fairs.” The training program is also for anyone planning to have the public interact with farm animals. The six modules and accompanying short quizzes should take roughly 2-3 hours to complete with users being able to exit and return to the training as needed. When complete, MDH will provide certification that your organization has learned best practices for visitor-animal interactions. Email SaferFaces@state.mn.us for more information. Please include the following information: your name, your animal contact venue, and the best way to contact you. Alternatively, please call 651-201-5414 and ask about Safer FACEs. The Upper Midwest Agricultural Safety and Health Center (UMASH) provided funding for Safer FACEs.